The Sitting Room is a comfortable space. Some time you just want to be alone in a quiet space. The sitting room at the Birch Ridge inn is just the place. The sitting room at the Birch Ridge Inn is between the Restaurant and Great Room buildings, in the section of the inn reserved for inn guests. One wall of the Sitting Room is actually the slate roof of the Restaurant A Frame. The sitting room is comfortably furnished with a couch and easy chairs to provide a quiet space for inn guests. It is the perfect place to take a few moments to enjoy a good book, or the Sunday Morning papers. The sitting room is accessible to all Inn guests. It is completely covered by the inn's high speed WiFi network, and is lift serviced to accommodate the needs of the physically challenged. 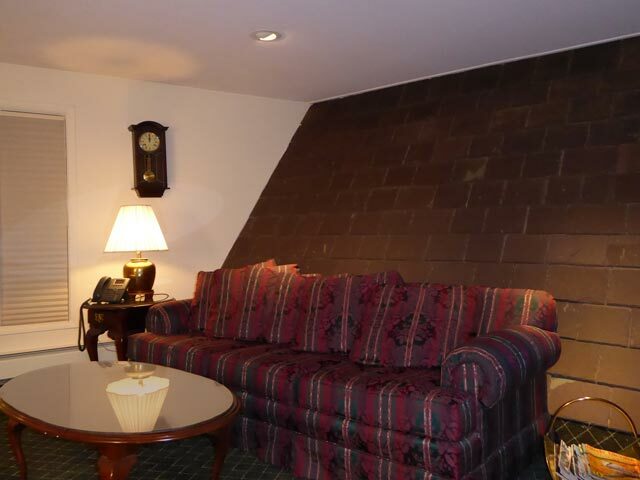 Come enjoy the Sitting Room at the Birch Ridge Inn!